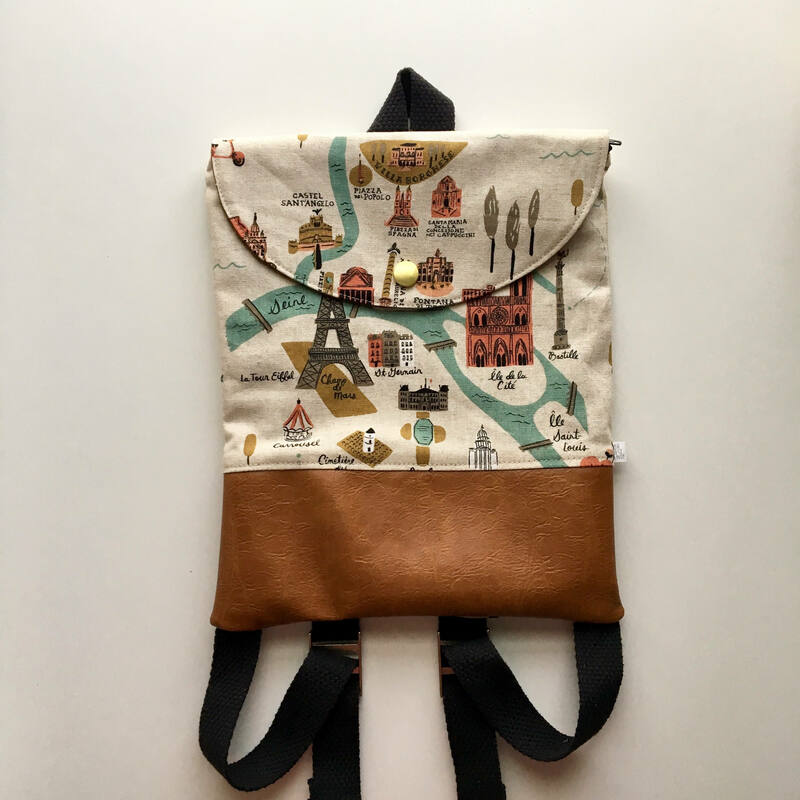 Every little adventurer needs a backpack. 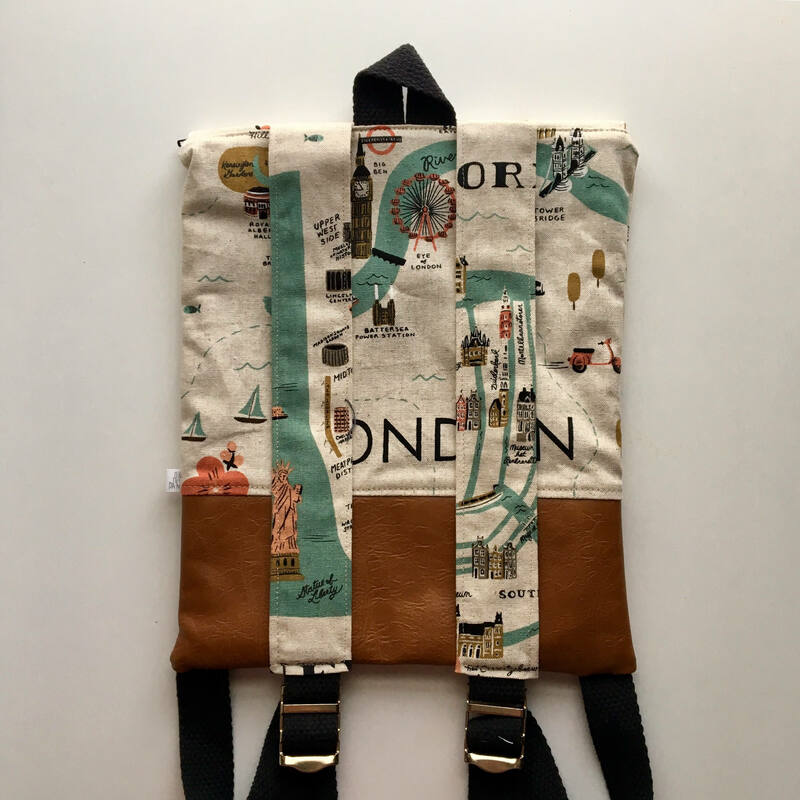 Our packs measure 11"x9"...and is handmade with Rifle Paper and Co's breathtaking City Maps Canvas. 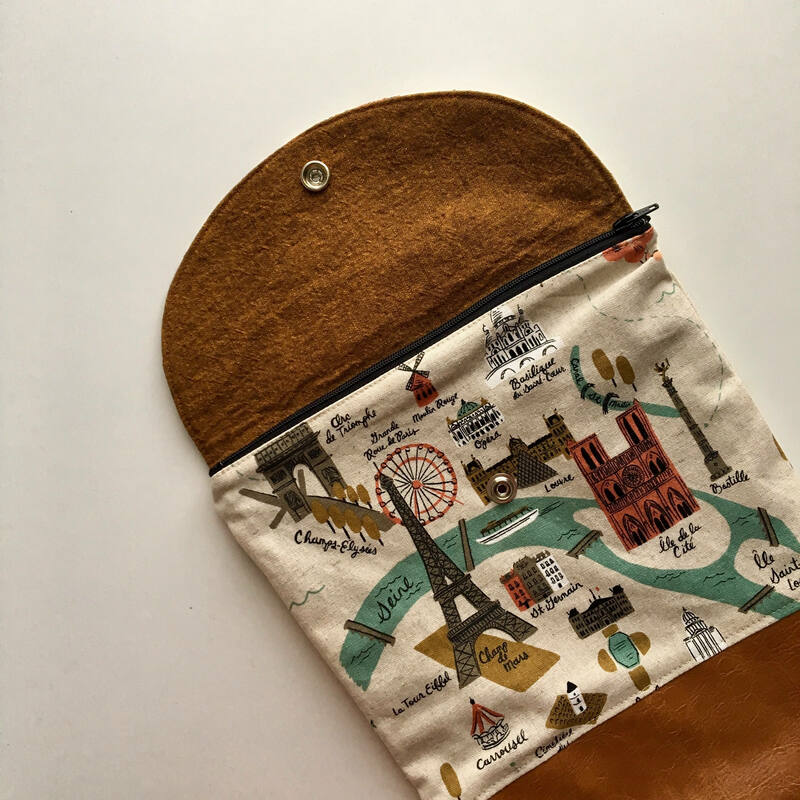 The straps are adjustable to fit any size, and the zipper and snap are sure to keep your treasures safe!